In Maryland’s women’s prison last year, Emily Butler didn’t die. She was executed. 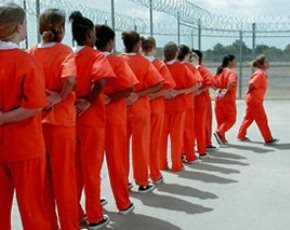 Maryland has one women’s prison, the Maryland Correctional Institution for Women, MCIW. On November 12, 2017, 28-year-old Emily Butler was “found dead in her cell from an apparent suicide.” Emily Butler wasn’t “in her cell”; she was in solitary confinement, which Maryland claims does not exist in its prisons. On Friday, Disability Rights Maryland and a community fellow from the Open Society Institute of Baltimore released their findings concerning Emily Butler’s death. The report’s findings are both grim and all too familiar. Emily Butler was not “found dead”. She was executed, by the State of Maryland. Emily Butler took the isolation hard. First, solitary confinement is torture. Second, Emily Butler had reason to expect that she was going to be paroled in April 2018, and a stay in segregation would delay that. She was distraught and said so. She knew she needed help and asked for it. None came. The State of Maryland executed Emily Butler for the crime of needing and asking for help. How many more such women must suffer such torture? Do more than say Emily Butler’s name. In her name, shut down all forms of solitary confinement, in prison and beyond. Across the United States, children in elementary schools are being placed in what are called seclusion rooms, a euphemism for solitary confinement. Across the United States, children in juvenile detention are also regularly placed in solitary confinement. Recently a parent in Phoenix, Arizona, expressed dismay at a “seclusion room” in her son’s elementary school. At the same time, in upstate New York, the Onondaga County Legislature voted unanimously to ban youth solitary confinement across the county criminal justice system. While the decision of the Onondaga County board is welcome news, it came as the result of years of organizing from civic and community organizations. Why are we so comfortable with dumping children into boxes, and who are we, who do we become, if we continue to let the practice continue and become every day more normal? It’s eerie … and altogether commonplace. The Onondaga County Justice Center opened in 1995, and from its inception to today, the County has described the jail as a “state-of-the-art” facility. Community activists have differed with that description. They pointed to the agonizing death of Chuneice Patterson, in 2009. Last year, the New York Civil Liberties Union and Legal Services of Central New York filed a suit against the Onondaga County Sheriff’s Office practice of placing 16- and 17-year-olds in solitary confinement at the Justice Center. They charged that between October 2015 and August 2016, the Onondaga County Justice Center dumped 80 teens, mostly youth of color, into solitary confinement. In January, the civil rights division of the United States Department of Justice gave formal support to that lawsuit. In February 2017, a Federal judge ordered a halt to the practice. In June, the New York Civil Liberties Union and Legal Services of Central New York arrived at a settlement with the Onondaga County Sheriff’s Office, and in September, the Legislature voted unanimously to ban the practice. Why does it take so much time and energy to stop torturing children? Stephanie Vasquez saw a child in a closet and knew it was solitary confinement. Others saw “the box” at Onondaga and knew it was a cage. Stephanie Vasquez knew children were being treated as prisoners; and others knew child prisoners were being treated as animals; and the sequence of alchemical transmutation continues straight to hell. In both Arizona and New York, the specific institutions claim to be state-of-the-art, and they are. They were designed by the best in the field. What does that say about our art? Where is the art in dumping children into closets, boxes, and cages? How long should a child be in a confined black space? Never. Those in isolation are allowed one hour a day in this `recreation’ space. In the United States, children are routinely thrown into solitary confinement, often for the most trivial reasons and often for long periods of time. As of a study conducted last year, 28 states and the District of Columbia prohibit the use of punitive solitary confinement in juvenile correctional facilities. This list of 29 includes jurisdictions that allow up to four hours per day. Additionally, of these 29 states, 25 allow for solitary confinement for non-punitive reasons, such as so-called safety concerns. Of the 25, 12 allow for indefinite solitary confinement of juveniles … for their own good. These are the `good’ states. At the other end, seven states have no limits on solitary confinement of juveniles: Alabama, Georgia, Iowa, Kansas, Michigan, Texas, and Wyoming. The remaining 15 states offer a smorgasbord of juvenile solitary confinement offerings, ranging from six hours to 90 days. Four states allow for children to be thrown into the hole for more than 5 days. North Carolina and West Virginia allow for up to 10 days isolation. Until last year, California allowed for 90 days of isolation. As of January 1, 2017, new laws went into effect concerning California’s use of solitary confinement for children. With that change, Wisconsin became the winner of the race to hell, with its allowance of up to 60 days in isolation for children. This week, four children, and their attorneys, families, friends and supporters, said NO MORE, and filed a lawsuit. 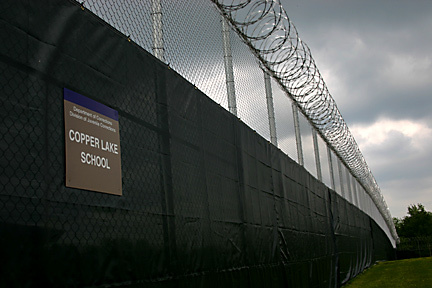 This is the story of Meranda Davis’ daughter, known as KD, currently held at Copper Lake School for Girls, one of two juvenile detention facilities in Wisconsin. It’s not a school, and it’s not for girls. It’s hell, and it has been so for a long time. Across the United States, we continue to torture children by throwing them into segregated, solitary confinement, and this happens as often in schools as it does in jails in prisons. Children are disappearing. That children are disappearing is not new. That we continue to disappear children is also not new, but it is shameful, and it’s a shame that reaches every day deeper and deeper into our collective spirit and individual souls. The disgrace is not limited to prisons and jails. Last month, a complaint was filed against the Iowa City school district, charging that the district’s use of seclusion rooms violates Federal law, primarily because parents don’t know that the seclusions rooms exist and are being used and because the use of seclusion rooms is broader and more `ordinary’ than the law allows. During the 2013-14 school year, most of the students dumped into solitary confinement were students with diagnosed disabilities and individualized education plans. Half of the students with education plans who were sent to seclusion rooms were Black. Other than students with education plans, ALL of the students dumped into seclusion rooms in the 2013 – 2014 were Black. Black students comprise about 19% of the school population. The good news, such as it is, is that these dismal mathematics are being challenged, and that occasionally something like decency wins. Torturing children is wrong. Children do matter. So do the adults who surround them. At the same time, consider how much energy, labor, work, investment is required to protect children, our children, your children, their children, from torture, every single day. Every single day, across the United States, children are disappearing, forgotten children who haunt the days and ways of our world. 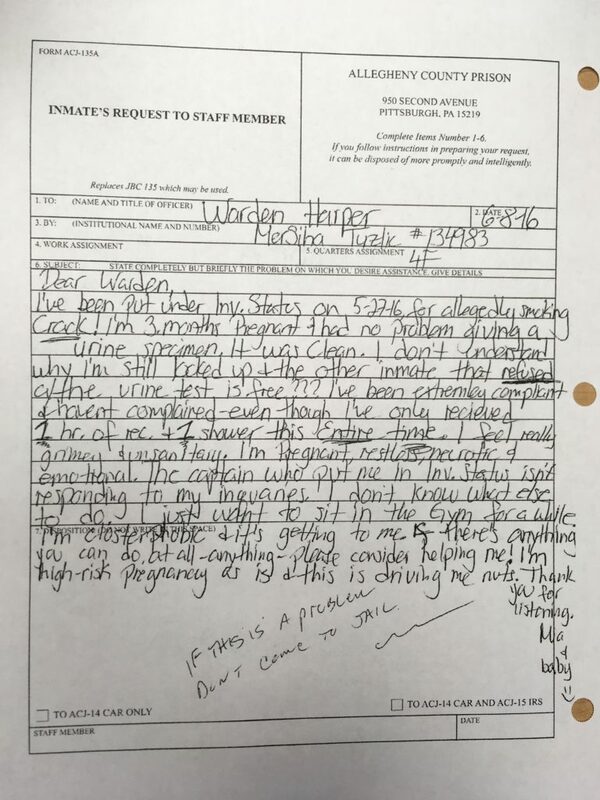 Allegheny County Jail, in Pittsburgh, Pennsylvania, routinely throws pregnant women into solitary confinement, for days on end, for minor offenses and less. Five women – Elizabeth Seitz, Mersiha Tuzlic, Riva Depasse, Jill Hendricks, Kiari Day – have refused to accept the injustice and indignity. Yesterday, December 19, their attorneys went to Federal Court to sue the Allegheny County Jail. This is Mersiha Tuzlic’s story, and it’s happening in jails across the country. I’ve been put under Inv. Status on 5-27-16 for allegedly smoking crack! I’m 3 months pregnant and hand no problem giving a urine specimen. It was clean. I don’t understand why I’m still locked up and the other inmate that refused the urine test is free??? I’ve been extremely compliant and haven’t complained – even though I’ve only received 1 hour of rec and 1 shower this Entire time. I feel really grimy and unsanitary. I’m pregnant, restless, neurotic and emotional. The captain who put me in inv status isn’t responding to my inquiries. I don’t know what else to do. I just want to sit in the gym for a while. I’m claustrophobic, and it’s getting to me. If there’s anything you can do at all — anything — please consider helping me! I’m high-risk pregnancy as is, and this is driving me nuts. Thank you for listening. Welcome to the Commonwealth of Petty Dictators, where throwing pregnant women into solitary confinement for no reason at all isn’t enough of an assault on their dignity. When they ask for help, find ways to further diminsh them. Show these women how really powerful you are. The god of small things battles the devil of small men, and in Allegheny County, for too long, the devil has been winning. Tell the warden of Allegheny County Jail that torturing women is no joke. Write to the Allegheny County Jail here or call them at 412-350-2000. Stop the torture of women in jails. Last week, the ACLU of Nebraska issued a report on the use of solitary confinement in juvenile centers in Nebraska: “On any given day in Nebraska, juvenile justice facilities routinely subject kids in their care to solitary confinement … For children, who are still developing and more vulnerable to irreparable harm, the risks of solitary are magnified – protracted isolation and solitary confinement can be permanently damaging, especially for those with mental illness. It is time to scrutinize the use of solitary confinement on children. Nebraska should strictly limit and uniformly regulate isolation practices.” This report builds on year after year of reports on the epidemic of juvenile solitary confinement across the country. As the county sinks, so sinks Nebraska. Actually, Nebraska is leading the race to the bottom, since the state boasts the third highest per capita number of youth in juvenile facilities. Furthermore, 55% of the juvenile “residents” are youth of color, while only 20% of Nebraska’s youth are youth of color. 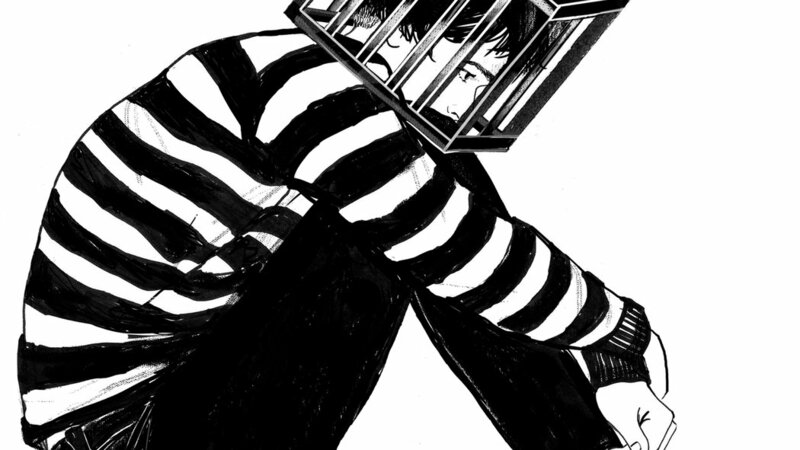 Children across the state are sent into solitary for days, weeks, and sometimes months. 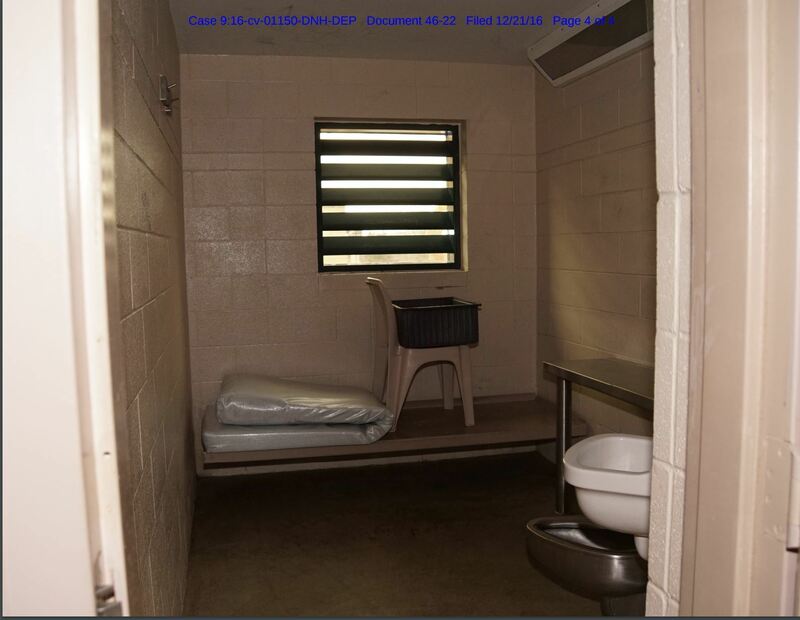 Often the “reason” for extended solitary confinement is a minor infraction. Often it’s the child’s “attitude.” Who puts a child into isolation for 90 days for having too many books? In Nebraska, quite a few would … and do. Nebraska has nine juvenile detention centers. Two are run by the Department of Health and Human Services; two are run by the Department of Corrections; and five are county facilities. While all have problems, the real crisis is in the Department of Corrections centers and the county facilities. Two of the county facilities don’t even keep records of how long children are kept in solitary; another has no policy governing the use of solitary confinement. It’s not sufficiently important. There is no “ignorance”. The widespread torture of children in juvenile centers across Nebraska is public policy. No one is surprised that a state that leads the country in incarceration of children, and in particular of children of color, leads the country in torture of children once they’re `in the system.’ The answer? Close the prisons; take their money and put it in health care, education, recreation, culture, and everything that sustains life, creativity and wellbeing. Another world is necessary. Brian Nelson spent 28 years in prison. The last twelve he spent in solitary confinement at the notorious Tamms supermax, in Illinois. He was never told the reason he was moved from a minimum security prison in another state to a supermax in Illinois. Then, one day, the door to his isolation cell opened, “I went from solitary confinement straight to my Mom’s.” There are tens of thousands of Brian Nelson’s released straight from years in solitary confinement to the street, and the overwhelming majority go straight to their mothers, grandmothers, and other women caregivers. According to an NPR – Marshall Project collaborative report, across the United States every year, prisons send thousands of people directly from solitary confinement to the streets. If, as if often the case, the solitary-to-street citizen has served her or his full sentence, “maxed out”, then there is no supervision and no assistance whatsoever. S/he must simply deal or die, and death is the State’s preferred option. NPR and the Marshall Project surveyed all 50 states and the Federal Government, and found 26 states don’t count how many prisoners they’ve released directly from solitary. Neither does the Federal Bureau of Prisons. Of the 24 that do, in 2014, at least 10,000 were released directly from solitary to the street. Solitary confinement has become the default for prisoners of color, as well as for those living with mental illnesses. One study of the use of solitary confinement, isolation and “supermax” in Arizona noted: “All of these statistics are of course made more outrageous by the glaring fact that the white male prisoner population in supermax facilities is dramatically lower, only 25 percent, than in the general prison population, where it is 39 percent. For white female prisoners it is even more disparate, with the drop from 52 percent in the general prison population to 29 percent in Lumley SMA. Meanwhile, whites make up 73 percent of the Arizona state population. Put simply, persons of color are consistently placed in conditions of isolation at much higher rates than their white prisoner counterparts. Thus the negative impacts of supermax while incarcerated and upon re-entry are disproportionately levied against populations of color in Arizona.” As Arizona cages, so cages the nation. While women make up a minority of those in supermax, those leaving solitary for home end up being taken care of by mothers, grandmothers, and wives. And that’s the point of the entire project, in which extended solitary confinement is the beating heart. The overwhelming majority of prisoners come from a small number of metropolitan neighborhoods of working people of color. The survivors of extended solitary confinement are the distillation of that political economic geography: Black, Brown, working poor. But they can go home again. In fact, they have to, because there are no social services to help them: no medical care, no education, no counseling, nothing but charity. So they go home, where they don’t have to beg to get help. They go to their mothers, women like Sara Garcia and Brian Nelson’s mother, women who look at them and cry and ask, “Oh my God, what have they done to him?”. They go to their grandmothers. And their mothers and grandmothers take care of them. They engage in labor intensive, grueling work, for years and decades, and no one pays them a dime. This is urban redevelopment in the United States. Remove targeted people and populations from productive or creative pursuits, and then extract value out of their struggles to survive, to care for one another, to love, all the while writing treatises on the collapse of the urban community and how a new influx of capital and white folks will fix all that. Around the world, women of color, Black women, Aboriginal women languish in solitary confinement. Many die there. Their numbers grow incrementally by the day. BobbyLee Worm, an Aboriginal woman prisoner in Canada, refused to become another abject statistic of prison morbidity and mortality. One of these particular programs was called Management Protocol. Established in 2005, Management Protocol was “a special program for handling women prisoners who have been involved in a major violent incident or threat of incident while in the system.” By 2011 seven women prisoners had been on Management Protocol. All seven were Aboriginal women. Management Protocol was indefinite and unregulated solitary confinement. Twenty- three hours a day for as long as the prison deemed `adequate’ and `necessary.’ How did one leave Management Protocol? One earned one’s way out. To this day, how one earned an exit visa remains a mystery. BobbyLee Worm entered prison June 7, 2006. She was a first time offender, sentenced to six years, four months. She spent more than three and a half years in solitary confinement: 23 hours a day in a cell 10 by 8 feet, with no meaningful human contact. For months on end. She was 19 years old. With the British Columbia Civil Liberties Association, or BCCLA, BobbyLee Worm sued the State for violation of her constitutional rights. Two days after the lawsuit was filed, BobbyLee Worm was removed from Management Protocol. Soon after, the Correctional Service of Canada, or CSC, announced it would shut down the Management Protocol program. In May 2013, BobbyLee Worm and the Canadian prison state settled the suit out of court. According to all reports, BobbyLee Worm was pleased with settlement. This happens to hundreds of prisoners across the country every day, and in particular to Aboriginal women and girls. The CSC wanted Management Protocol … badly. It wanted cages for young Aboriginal women, especially those desperately in need. Aboriginal women, Black women, women of color who live with that kind of desperate need are told they owe a debt to society, and prison is not enough. They must go into the hole, they must be tortured. The British Columbia Civil Liberties Association and the John Howard Society of Canada recently filed a lawsuit challenging the constitutionality of the laws governing solitary confinement. Sunday, March 8, 2015, is International Women’s Day. In 2011, Black women prisoners haunted International Women’s Day. In 2015, they still do. And next year? In America’s capital, juveniles in the criminal justice system are treated badly. Federal prosecutors in Washington, DC have “unfettered discretion” to send youth to adult court and correctional facilities, and they often do. Take Alisha, for example, who was tried and charged as an adult in DC Superior Court when she was only 16 years old. She was sent to DC’s Correctional Treatment Facility (CTF). There are no special units for female youth at CTF, so Alisha was sent to solitary confinement. For weeks at a time, she was on lockdown for 23 hours a day, was unable to attend school, and could not participate in any programming available at the jail. Her attorney fought to move her to a more appropriate place that could also address her mental health concerns, but she remained here for a year and a half. Understandably, Alisha was depressed as lonely. In solitary confinement, she attempted suicide. Alisha is not alone. “Youth who are incarcerated in adult facilities are 36 times more likely to commit suicide than their peers in juvenile facilities,” according to Carmen Daugherty, Policy Director at Campaign for Youth Justice. They are also much likelier to be physically and sexually assaulted. “The adult system is no place for kids,” Daugherty declared. A May 2014 report by DC Lawyers for Youth and Campaign for Youth Justice stated that “incarcerating youth in the adult system is developmentally inappropriate, unsafe, and does not decrease recidivism.” In fact, the report found that trying youth in the adult system actually increases recidivism. DC is a particularly bad place for juveniles, as the report shows. A criminal justice consulting firm assessed the Juvenile Unit at CTF in 2013. They found that: “1) the facility space is too limited to provide adequate programming or sufficient physical activity, 2) most youth are not able to have in-person visitation with their family members, 3) some staff working the unit are inadequately trained to address the needs of youth, and 4) the amount of structured programming offered to youth is inadequate.” Yet, children continue to be sentenced here. Who are the youth most affected by DC’s current practices? Disproportionately, they come from the most under-resourced neighborhoods in the district: low-income communities of color. A staggering 97% of the youth incarcerated at CTF between 2007 and 2012 were African American and 3% were Latino. Almost all of them come from the eastern half of the district or identified as homeless. Twenty-three states have taken steps to decrease reliance on the adult justice systems in youth cases. Yet, the nation’s capital continues to prosecute youth as adults. Public policy in Washington, DC needs to change. This Wednesday, November 12, the DC Council’s Judiciary Committee is voting on The Youth Offender Accountability and Rehabilitation Act of 2014 (Bill 20-825). YOARA would keep teenagers awaiting trial out of adult jails, keep more juvenile cases in family court, and end the practice of “once an adult, always an adult,” which allows teens’ prior offenses to be used against them. Contact DC Councilmembers and urge them to pass YOARA here!